Elton's first true masterpiece. This album is a sort of transition between the earlier softer years and the flamboyant style that he would soon adopt. The listener is treated to many different styles both musically and lyrically and nothing falls short of brilliance. The "Elton John Band" which consisted of Nigel Olssen on drums, Dee Murray on bass and Davey Johnstone on guitars is now finally present on all the tracks and would remain so for the next several albums. In addition, we get an electric violin player to enhance the sweetness on Mellow and the pseudo freaky Amy, and even a tap dance on the finger snapping ironically titled I Think I'm Going to Kill Myself. For nostalgia fans, this release also featured the hits Rocket Man and Honky Cat (the former had a little known device called a "synthesizer" and the latter featured a three piece brass section). The most overlooked gem has to be Mona Lisas and Mad Hatters, a sad song about New York City that matches music and lyrics beautifully. We also get the gospel tune Salvation and the mock western Slave that don't disappoint. The album closes with a great fun song Hercules which echoes a lot of the "doo-wop" mentality of the early sixties. 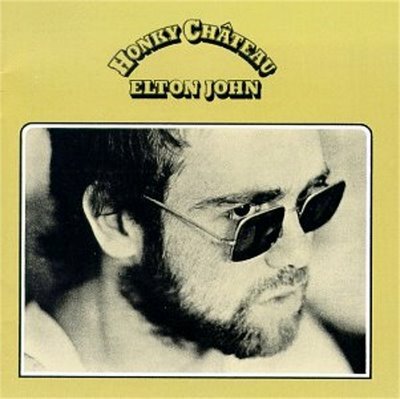 This album was the first of several to be recorded at Strawberry Studios in France which was actually nicknamed "The Honky Chateau". It was also the first album to go to number one on the American charts. This album also became the first to have both singles enter the top ten. A classic.